The enemy of your enemy is…your lover? A peasant farm girl has no place consorting with feuding lords, yet that’s exactly what Jocelyn Cutler sets out to do. Now Jocelyn finds herself trapped between the tyrannical Lord Kerr, and the dangerous rogue, Sir Trent Wescott. When her younger brother is sentenced to death for rebelling against Lord Kerr, Jocelyn in desperation appeals to his rival, Sir Trent Wescott. Rumors mark Trent a highwayman, a murderer, and—worse for Jocelyn—a heartbreaker. But he’s the only one who can save her brother’s life. The price? The only thing a beautiful peasant girl has to offer—herself. Unaccustomed to his new role as protector, Trent is shocked to find Jocelyn closer to a dutiful wife than a greedy mistress. But the life they’re building together hangs in the balance when an ancient crime resurrects from the past. Jocelyn and Trent must decide what to forgive, what to fight for, and how far they’re willing to go for the sake of duty, family, and love. Set in the rolling hillsides of England during the Restoration, BRAESWOOD TAPESTRY is one of Robyn Carr’s historical novels, which have been reissued as digital editions. 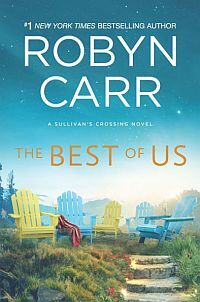 Robyn Carr is the #1 New York Times and USA Today bestselling author of The Virgin River Series, published by MIRA.